can i have more than one dog biscuit/ballon/gas/clothes?? As long as its a flickering flame yes. If its frozen and not a moving flame then No. can a flame be a different colour?? blue for example?? As long as its a moving flame. If its frozen and not a moving flame then No. Does the Jerrycan count as a Gas Can? Do I write the essay in the email, or in google docs and share it with you? If so on docs, put the screenshots in with the essay, or in the email? Two paragraphs in the email is fine. Attachments are easiest. It's harder for judges to open Docs. Can we use Dragon Flame torch? It has a fire ball inside and its moving. Will it work? I'm going to say no. It doesn't have a flickering flame. Do i write a story about my dorm or do i just write about how ir relates to the theme cold? 2paragraphs paragraph 1 Tells how your dorm represents the cold theme. Yes can be a very short story paragraph 2 explains how you used each item in your dorm. For screenshot B, is ctrl+G optionable? As long as you have one screenshot that shows your wizard name . One without ctrl G and one over all. Your ok.
No subject needed really. yes simply saying cold would of been okay. What is that G control thing? Can you explain please? If you don't know how to use crtl G thats even better. crtl G removes all the things from your screen shot like health bubbles. I would rather it not used. You do have to show your name while standing in your dorm. How to make this happen is above in contest topic, look for Misc Information:. You have to have one image without using Crtl G. If you dont know what That is no need to use it at all. is 130 - 170 words good for one paragraph? Hey Paige, I have a question about the theme. I know that it's supposed to represent the theme cold and for me "cold" makes me think of December, Christmas time and warm things. So would I be still qualified if my room represented the contrast between the cold outside and warm inside? Like if my room was made to bring warmth? Or does the room HAVE to be cold looking? Hello Paige. If I win something in the competition, is it possible for me to give my gift code for someone else? I'm not talking about selling or in-game gifting, but as just giving my code away to a friend for her to use. Thank you!!! Sure you can give your code to who ever you like. Word of caution. Each set of prizes come in one code. You won't be able to break the prizes up. Can we use dog biscuits, balloons, gas can and clothsline more than once? Yes though you can use only one flame item. If i use cold things like icebergs etc, will it fit the theme cold or not? You can use any items you like to create your dorm. It must have the 5 items. My sister and I share the same account, is it possible for both our wizards and dorms to enter? We have separate dorms and wizards, but we're both under the same account. Thanks! So, is winterbane considered an item for flame? It says yes in the rules, but no in the first comment, so I want to clarify. Yes. If its one single item, it can have more than one flame. Ok thanks Paige MoonShade! 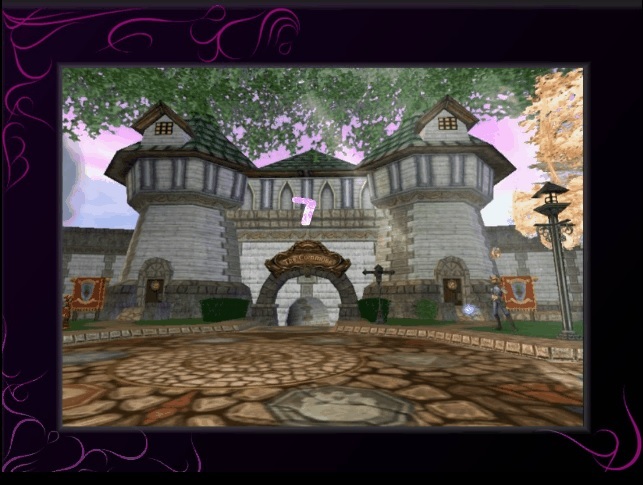 This is a really awesome event for people who love to decorate in Wizard101! The prizes are also amazing! Thanks for hosting such an amazing event! Hi! I submitted my entry a few days ago but in the editing process, I cut out my wizard's name by accident. I replied my name directly underneath the original email once I realized. Will this still be a valid entry or do I need to resubmit completely? My apologies for any trouble. Thanks in advance! No your name showed. Image 1 you sent, had name showing and no crtl G . Your good to go. I wasn't sure if that counted. Thank you! Can we write a story in Paragraph 1 about our dorm? I mean like where it is located or etc? What should be the subject when we are sending our email? Dose the bubbling cauldron count as a active fire item, because its has a "fire" under the the cauldron. At least that is what it looks like to me. This is my first year doing this but i can already tell that i will be doing this every year, it is such an amazing event that all decorators would love. hi, My dorm picture shows a part of outside the dorm walls in the corner of a screenshot, however, nothing is actually outside of the dorm room walls. is this okay? Is your wizard name Mark Ghostcaster for the contest? Its my wizard name in the game. There is very little time left for the contest. I have fixed my paragraph. And can you also inform me whether my entry was valid or not? i forgot to send my name in the email what should i do?? I wouldn't worry. Its in one of your screenshots. is it a problem that i send another email as an answer to my previous with just my name?? Nope, your good to go. Hi Paige! Can i use floor brazier? All entries are in, yes. Thank you so much for all you do you're such an inspiration to all wizards !!! how is the judging so far ? Can we know when will the winners be posted ?